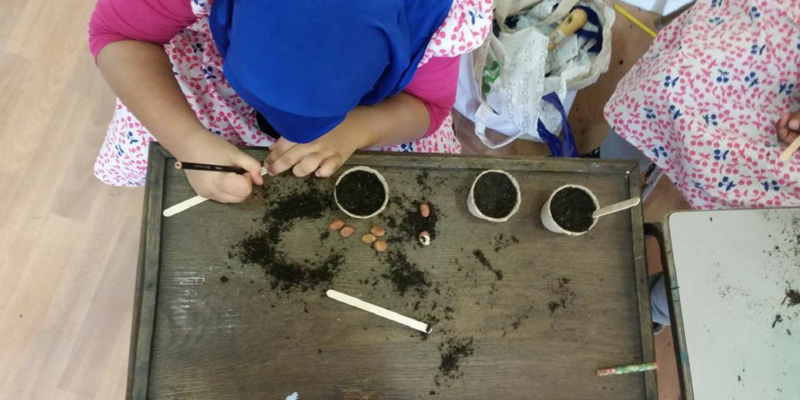 Grassroots ideas and community-led projects can bring people together, change the way we engage with each other and where we live as well as creating places that people love. 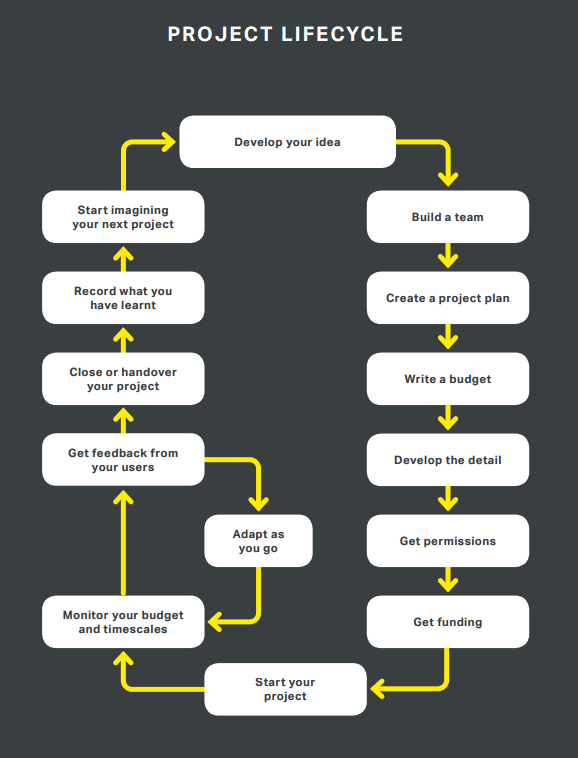 This outline of your project life cycle from early considerations to final delivery and impact will help your project achieve all this and more. Make sure people really want what you plan to offer. Whether a public space, a community building, or a start-up social business, projects need people who want to use them. Talk to your community throughout the process. Talk to people who have done similar things. Most people love to share their experience and lessons learnt. Make a list of the Strengths, Weaknesses, Opportunities and Threats to your project (SWOT analysis). This can be a really useful way to work out if your project is realistic, or what you need to improve to make it stronger. Keep track of risks to your project. Don’t be afraid to try something that might fail – ideas that are experimental and innovative often need several attempts to get right, and you will learn a lot from the process. Not all projects last forever – they evolve as times change, they are designed to be temporary, or they are an experiment that doesn’t work out. Think about how you will know it is the right time to move on or call it a day. What will you do with your site, equipment or people when that time comes? Some projects need to be handed over to other people to run or manage. Make sure that it is handed over smoothly and with all the information they need to keep it going. Document your project as you go along so that whether it is a success or a failure, you and others can learn from it. If you are too busy, ask someone else to help. Record what you do: take photos, write a blog. Measure the impact of your project. How many people did you help? How much did you help them? What did they say about your work, both good and bad? What did you learn along the way that you will take into your next project? Report back regularly to your funders/backers. Coin Street Community Builders, on London’s South Bank, is just such an example. Now, this development trust and social enterprise owns and manages over 13 acres of land and, since 1984, has created 220 affordable rent homes in 4 cooperatives, arts spaces, leisure facilities, a neighbourhood nursery and much more. However, it started as a local campaign group who wanted to open up the riverfront to the local community and have more control over its future. CSCB’s first project was creating a new public park, Bernie Spain Gardens, by demolishing a number of derelict buildings. Completed in 1988, the group also developed a number of temporary shops and restaurants – Gabriel’s Wharf – alongside the park, an early example of what we now call ‘pop-ups’ or ‘meanwhile uses’, which helped to pay for maintaining the park as well as the loan finance that had allowed CSCB to buy the site. Be ambitious. Have a long-term vision as well as manageable projects that you can make happen quickly – ‘quick wins’ that show you are serious and capable. Involve the community in owning and running your organisation. CSCB is wholly owned by people living in the local area, and each housing block is run by a cooperative consisting of all tenants. 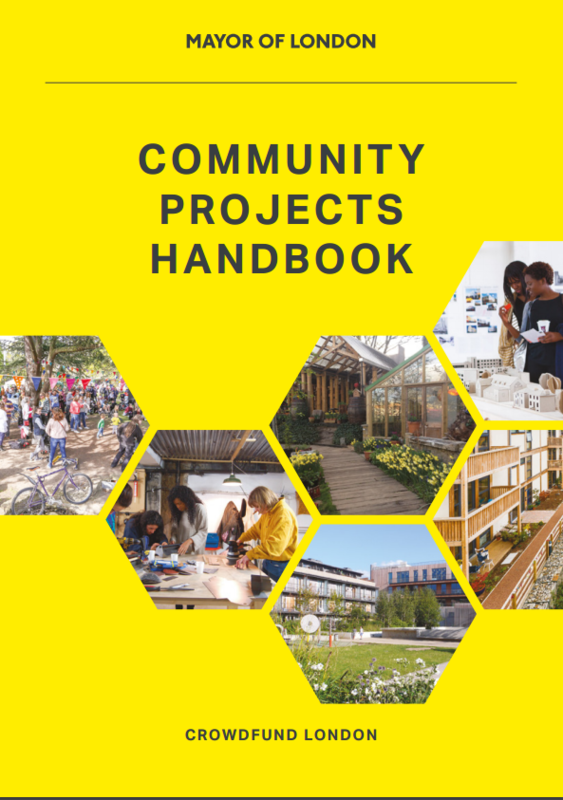 For more considerations when planning your community project, download the Mayor of London’s Community Projects Handbook as part of Crowdfund London.